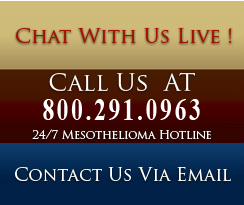 All About Mesothelioma is a FREE consumer service. We help mesothelioma victims get in touch legal professionals in each state and keep the public aware of new discoveries in treatments for Mesothelioma and asbestos diseases. We also keep you up to date on current articles and legal settlements for mesothelioma and asbestos cases. Law firms that we work with concentrate only on asbestos mesothelioma cases. We have experience with placing people with experienced asbestos law firms for five years. We will actually walk you though the process of connecting you with an experienced asbestos mesothelioma law firm in your state. We help asbestos and mesothelioma patients and their families get in touch with legal and medical professionals. We help keep the public aware of new discoveries in treatments for Mesothelioma and Asbestos cancers. We also maintain a current online Mesothelioma Dictionary of Legal & Medical Terms and we keep you up to date on current legal settlements for asbestos cases. If you or a loved one has been diagnosed with asbestos mesothelioma, or a family member has died as a result, you may be entitled to recover compensation from the companies that made these asbestos products. There are currently about 3000 new cases of Mesothelioma diagnosed per year, mostly in men over the age of 40. About 4,000 People die from Mesothelioma every year, the rare cancer caused by asbestos exposure. During the 20th century, some 30 million tons of asbestos were used in industrial sites, homes, schools, shipyards and commercial buildings in the U. S.
Through 2003, more than 700,000 People have filed claims against more than 6,000 Asbestos companies. These same companies knew of the dangers for many years before ever warning the public of those risks. It is thought that around eight million people in the United States have been exposed to asbestos over the past half a century, and many more cases - are expected to be reported in the next 25 years. The mesothelium produces a lubricating fluid that is released between these layers, allowing moving organs (such as the beating heart and the expanding and contracting lungs) to glide easily against adjacent structures. Mesothelioma is most common in the pleura (outer lining of the lungs and chest cavity), but it may also occur in the peritoneum (the lining of the abdominal cavity) or the pericardium (a sac that surrounds the heart). Most people who develop mesothelioma have worked on jobs where they inhaled asbestos particles, or they have been exposed to asbestos dust and fibre in other ways, such as by washing the clothes of a family member who worked with asbestos. There are funds available for asbestos victims. By 1970, it is estimated that some 25 million tons of asbestos were used in the U.S.
A history of asbestos exposure in the workplace is reported in about 80 percent of all mesothelioma cases. Eight million people in the United States have been exposed to asbestos over the past half a century. Studies estimate that approximately 3,000 different types of commercial products include asbestos. The National Institute of Health in 1978 estimated that eight to eleven million U.S. workers had been exposed to asbestos by that date. Through 2003, more than 700,000 People had filed claims against more than 6,000 Asbestos companies. The U.S. Occupational Safety and Health Administration (OSHA) set limits for acceptable levels of asbestos exposure in the workplace. In 2005, 2.2 million tons of asbestos were mined worldwide. Russia was the largest producer with about 40% world share followed by China and Kazakhstan. The first documented death related to asbestos was in 1906. In the early 1900s researchers began to notice a large number of early deaths and lung problems in asbestos mining towns. The term Mesothelioma was not used in medical literature until 1931, and was not associated with asbestos until sometime in the 1940s. Inhaled asbestos fibers remain in the body and cannot be expelled. Because of this, the fibers can easily penetrate body tissues and may deposit themselves in airways and in the lung tissue. Mesothelioma from asbestos occurs more often in men than in women and risk increases with age, but this disease can appear in either men or women at any age. The first diagnosis of asbestosis was made in England in 1924. The first known US workers' compensation claim for asbestos disease was in 1927. Analysts have estimated that the total costs of asbestos litigation in the USA alone is over $250 billion. It is estimated that within the next 40 years asbestos cases may grow to seven hundred thousand cases. These numbers help explain how there are thousands of current pending cases. An experienced Asbestos Lawyer understands the unique complexities involved in this kind of litigation lawsuit, including asbestos product identification, specific asbestos-related medical issues, and specific time constraints that narrow the window of opportunity to file a claim. It's important to find the right Asbestos lawyer before your state's statutes of limitations expire, leaving you and your family grieving and empty-handed. There's no time to wait - contact our Asbestos lawyers today for a free case review. It is not uncommon for there to be 10-20 parties that are named in an Asbestos lawsuit that are located across the United States. For example, a worker in California may have been exposed to asbestos from asbestos products shipped from Libby, Montana or from an iron ore plant in St. Paul Minnesota. This is why it is very important to obtain an experienced Asbestos lawyer knows all of the companies in each state who have responsibility for your asbestos exposure.